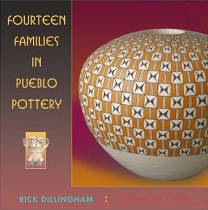 Our Two Traditional Pueblo Pottery Classes? 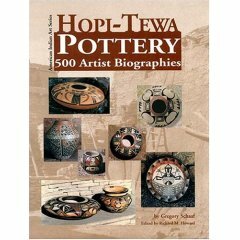 We will be making 2 small pots in this class. 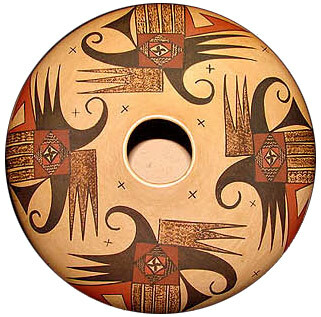 They will be Buff, polished in the ancient coil and scrape method of the Hopi tradition. The paints used will be bee balm and minerals. The paints are from several natural sources: the black color comes from a plant, Beeweed that is boiled for several days until it reduces to a thick paste which is then dried and stored in little cakes called Guaco. The other colors are from red minerals and rocks which are ground into usable paints. The intricate designs are painted free hand using a yucca leaf brush. After a careful drying period, the pots are fired in the open air out on the Mesa, using sheep dung as the fuel. 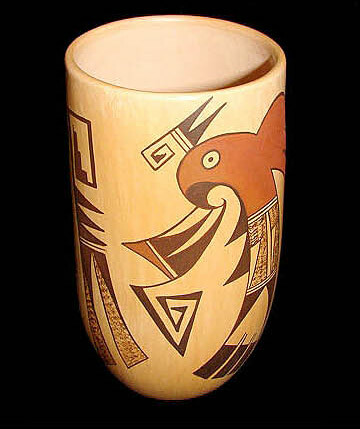 Hopi Pottery is Polychrome, with three or more colors on a polished beige background. 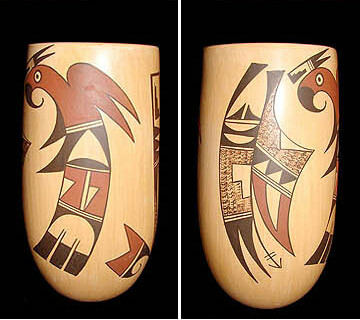 Designs are usually of eagles, parrots, roadrunners, migration patterns, eagle tail, kiva designs, rain clouds, lightening, water waves, and other life generating symbols such as corn. There will also be an excellent museum tour on Friday. We will be working in Taos. You will be taking home two beautiful pots! Students are invited to stay together with your teacher at THE KACHINA LODGE here in Taos. This includes a full breakfast every morning with your group before class.  There will also be a meet-and-greet with wine and cheese with your teacher Sunday at 6 PM. 6 nights lodging. Check-in Sun. PM, check-out Sat. AM. White Swan has won numerous awards throughout the Southwest, including the award for excellence at the 2001 ARIZONA STATE MUSEUM. 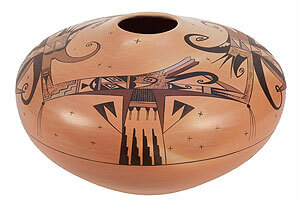 White Swan is a renowned Hopi Potter of the Water Clan who grew up in the Antelope Mesa area of the Hopi Reservation. She learned the art of pottery making at an early age by watching her Mother, Fawn Navasie. She adheres deeply to the tradition of her grandmothers, insisting on every one of the time honored steps necessary in the creation of this beautiful art. Her clay is hand dug and then processed only during the warm months of the year. 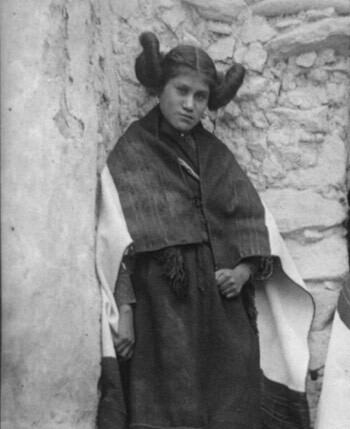 White Swann (Dollie Navasie), is the daughter of the renowned Hopi potter Eunice "Fawn" Navasie. She is also sister to Dawn "Little Fawn" Navasie, who now goes by "Fawn" since her mother's passing. 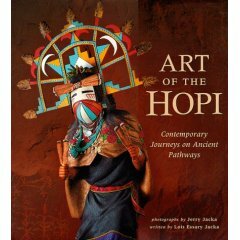 Her Hopi name, by which she is widely known in the art world, is White Swann. 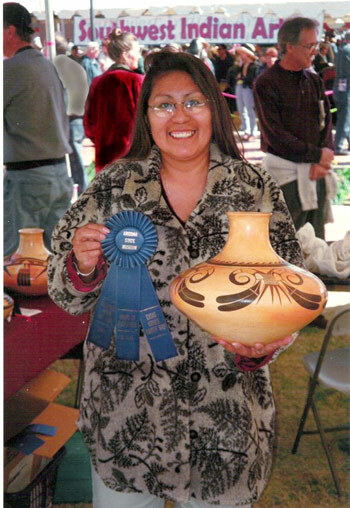 Having grown up in the Antelope Mesa area of the Hopi reservation, near Keams Canyon, Dollie learned the art of pottery making at an early age. She watched her mother and was allowed to play in the clay, making her first crude pots as a toddler.